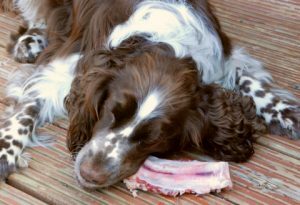 Gnawing on a raw meaty bone is a good source of nutrients for your dog and a wonderful way to keep his teeth clean and shinny, not to mention a great recreational activity! 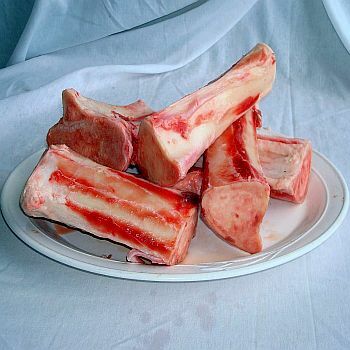 It should be noted that the entire bone is not intended to be consumed when fed for recreational chewing, as the bone is in addition to a full and complete diet. It is for that reason bones such as deer ribs are not recommended for large dogs – a large dog is likely to consume the entire deer rib. We often are asked what specific types of bones are appropriate for recreational chewing. Dogs Naturally posted a quick reference list of bones that might be appropriate for dogs of different sizes. We’ve summarized their list below. Keep in mind, this list might need to be modified for some dogs. Bones should ALWAYS be fed RAW! 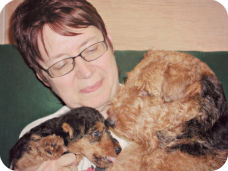 August 2013 Tip – Make Your Own Dog Treats!